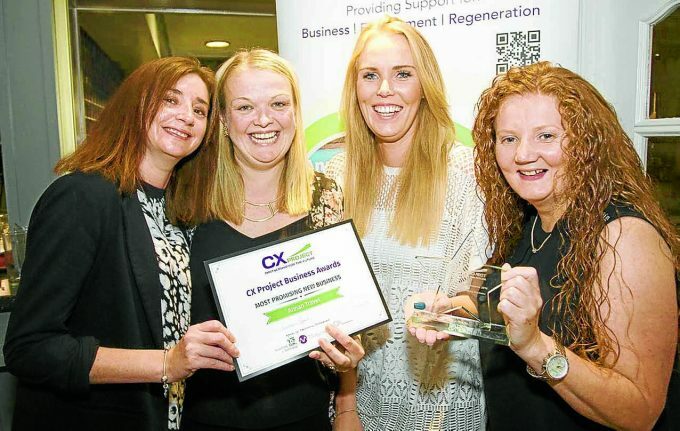 OUTSTANDING firms from across Annandale and Eskdale were honoured at the CX Project Business Awards in Gretna on Wednesday night. The big winner of the night was Annan based web agency Creatomatic, who picked up the best employer award and was named overall winner. 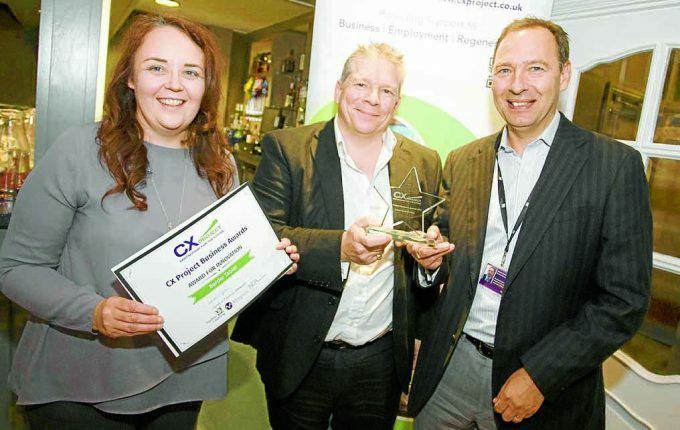 Director Kit Allen said: “We’re totally stoked to have picked up the Best Employer and Overall Winner awards. 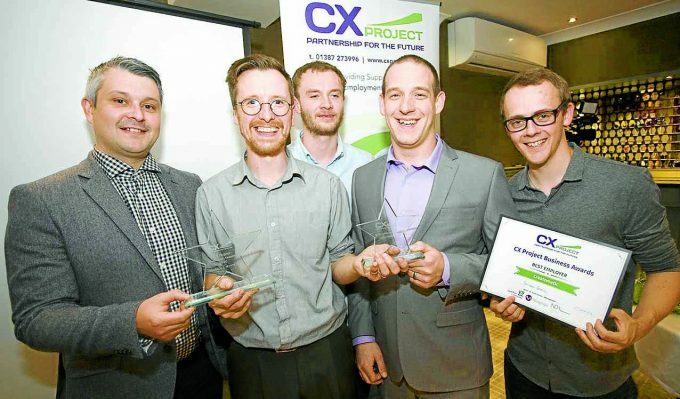 The Award for Innovation went to Border Tablet; James Ewart Racing won the CX Project Special Award; and Hamish Odinson, of Half-Goat Leatherwork, was crowned young entrepreneur and picked up the award for export. Angels Gym, RJP Millinery, A1 Graphics and Applications, Room 33, Callum Laird Graphic Design, Rory Laycock Artist, Shawbrae Knitwear and JKM Business Services. 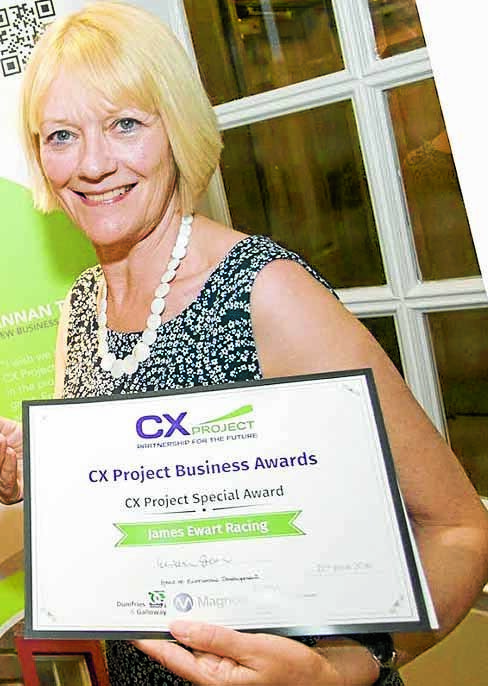 The CX Project was set up in September 2011 with funding from the Nuclear Decommissioning Authority Socio-Economic Fund and Dumfries and Galloway Council. It provides area specific and intensified business support in Annandale and Eskdale to help boost the local economy affected by the de-commissioning of Chapelcross Nuclear Power Station. 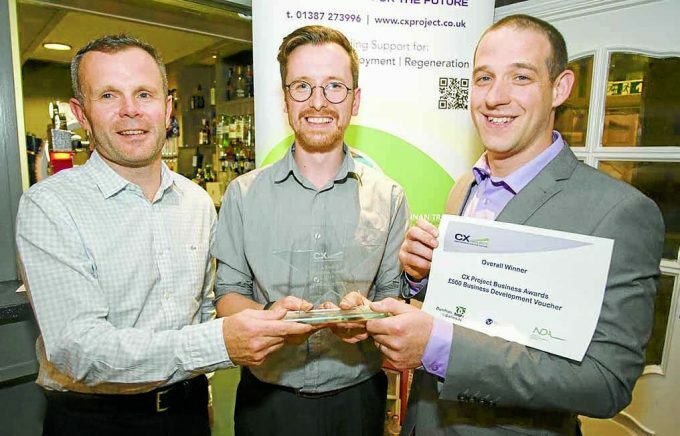 The award ceremony at The Gables Hotel was billed as an opportunity to recognise business excellence and to celebrate the achievements of the partnership project.